We are looking for the few, the dedicated, the untiring, for a special short season in 2014. There are a few places left if you would like to join the team: July 28 – August 18, 2014. Contact Yorke Rowan (ymrowan@uchicago.edu) or Morag Kersel (mkersel@depaul.edu) for more information. 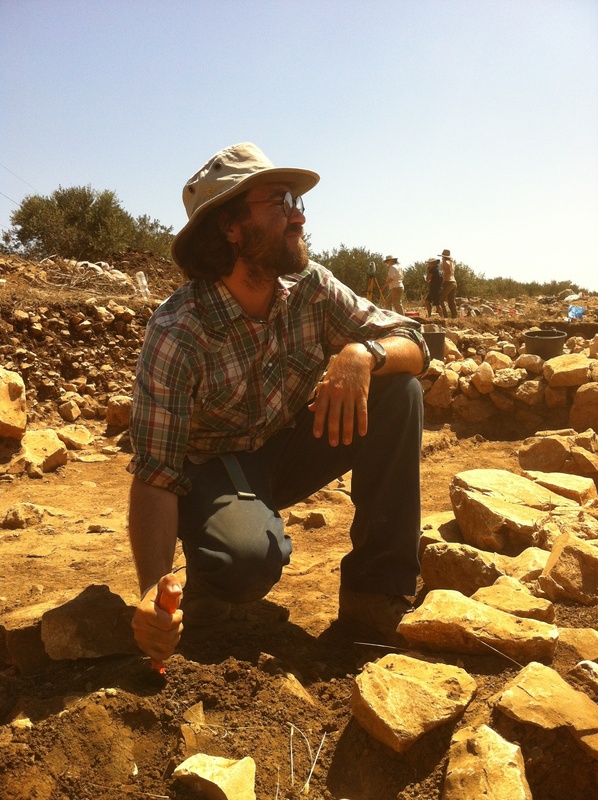 Although we bring back bucketsful of pottery from the site to wash at camp, most of it ends up returning to the field. After the pottery is washed and dried, our pottery expert (Dr. Dina Shalem) examines and sorts each basket. 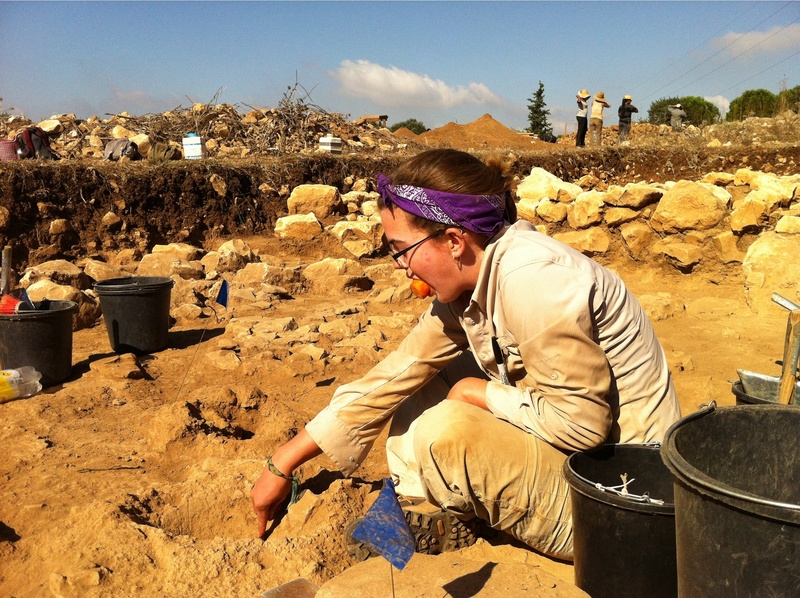 She is looking for diagnostic or indicative sherds. These are pieces of pottery that can help us identify and understand the types of vessels used at Marj Rabba. 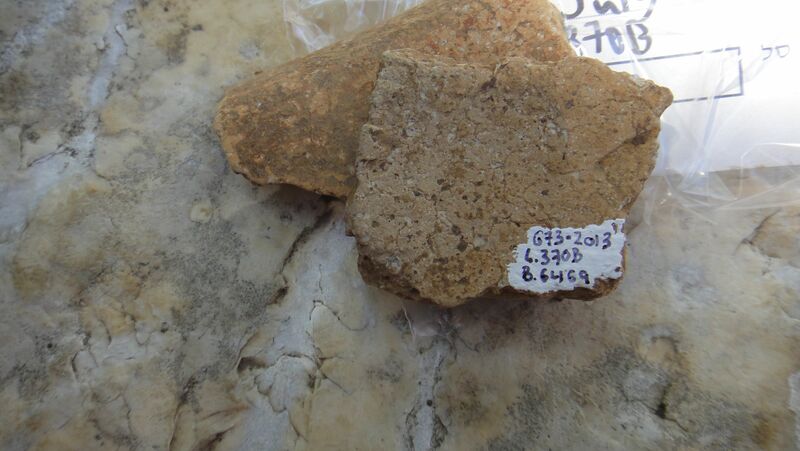 Diagnostic sherds include: handle pieces, rims, bases, uniquely painted body sherds, or decorated sherds. For example, a certain piece of rim could be identified as part of a large crater bowl or a smaller cooking vessel, depending on the rim. 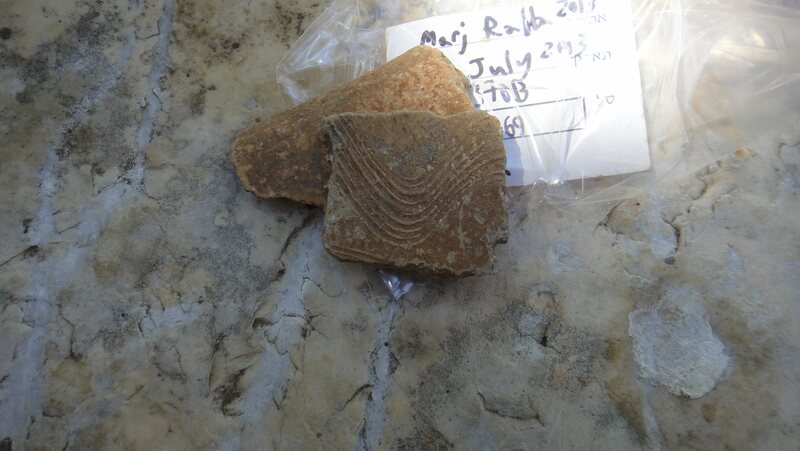 Or a piece of hula ware, which is a decorated pottery from the North, can tell us about the trade that was occurring between there and Marj Rabba. 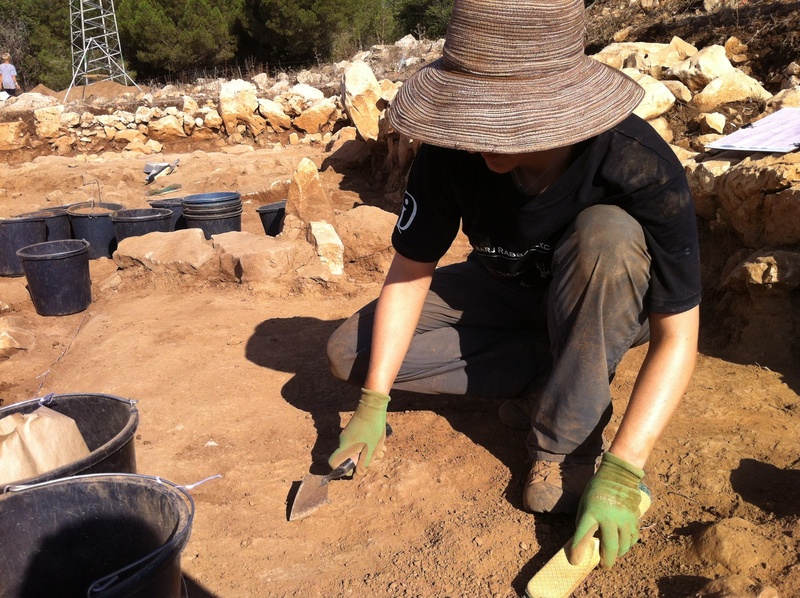 Combined with other threads of evidence, this pottery will help inform us of the people’s daily actions and interactions. This is vital, as many of these pieces will be removed from their bags containing this identifying information in order to be drawn or photographed for publication. Including at least the basket number allows each piece to be contextualized and returned to its place. After processing the diagnostics, the (very large) remainder of non-indicative sherds will be sent back to the field and banished to the pottery graveyard. Here at Marj Rabba, we hold ourselves to a high standard, even when it isn’t easy. For example, no matter how hot it gets, we always maintain proper troweling technique and excavation posture. This means: carefully (but quickly, and also precisely) scraping the edge of the trowel across the excavation site, evenly lowering the entire locus from the top rather than chopping into it from the side, and crouching on our toes or standing and bent over while excavating and sweeping. Trowel technique allows us to observe important features in context, which preserves data and adds to our understanding of the site. 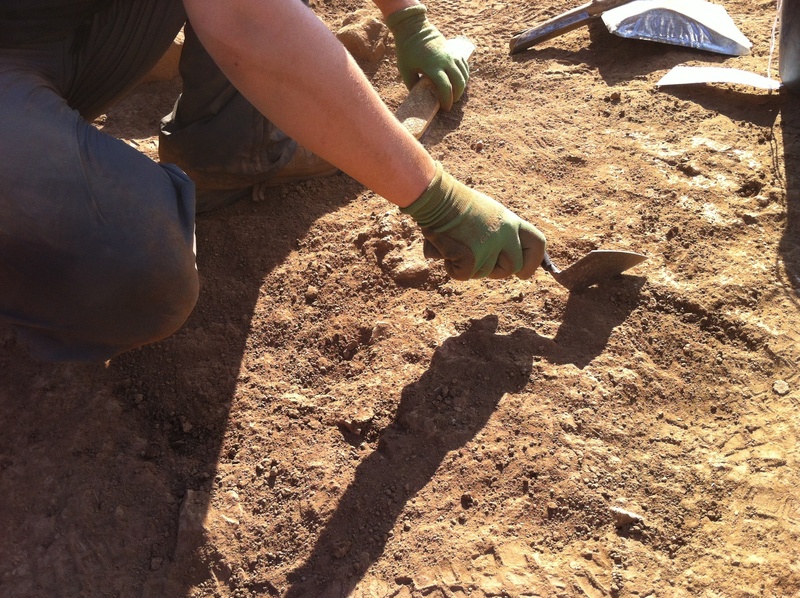 For example, using proper troweling technique, area CC has found a mudbrick floor. This is easily distinguishable by a flat, relatively smooth (except for the mole trails) area of mudbrick which was added to over time. 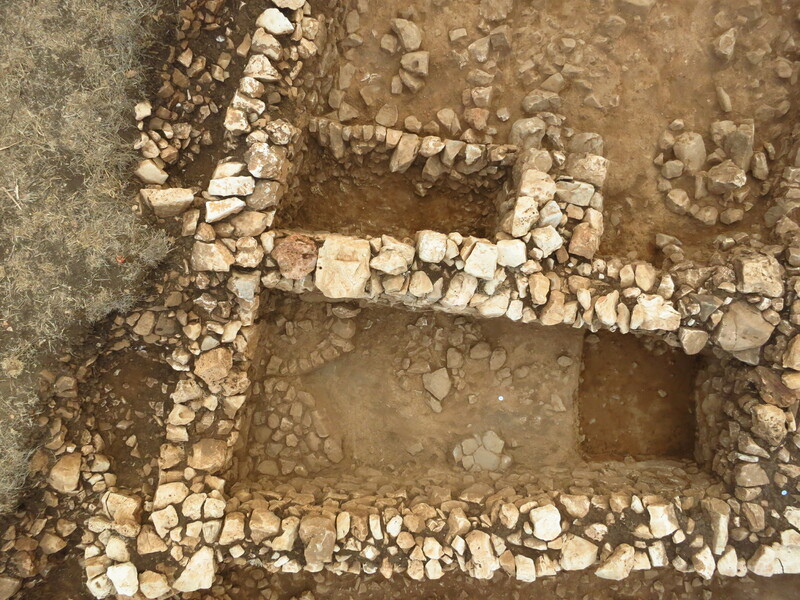 Area AA has also found mudbrick like that of CC, but its use is unclear. The area is dotted with pits and places where the mudbrick is absent for no clear reason. Had we troweled in from the side, the two areas might look similar; both have a fairly thick layer of mudbrick. 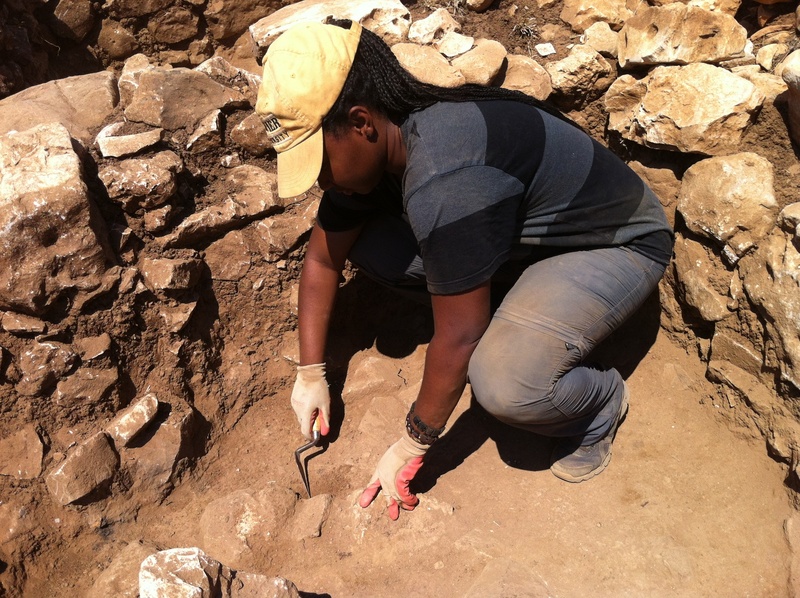 If we found some pieces of mudbrick and pottery, we might not be able to tell if the pottery came from on top of or beneath the floor. Only through clues like these can we contextualize and understand our findings. 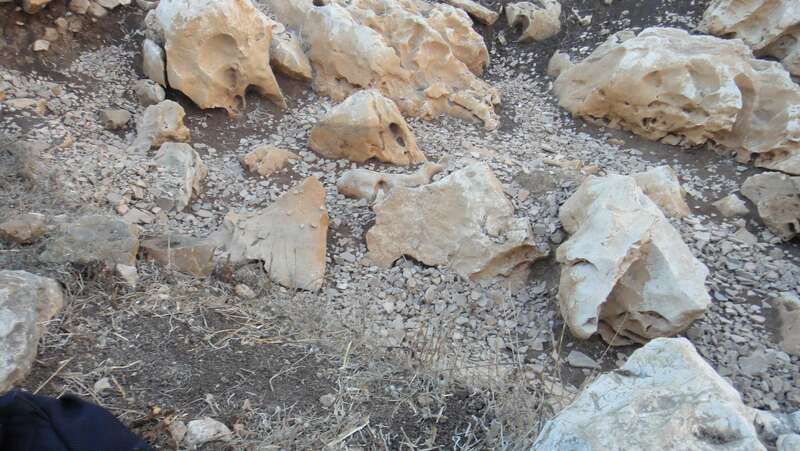 The best finds, like this artifact, are found in situ, and then carefully excavated around until the entire locus is low enough that the artifact can be seen and removed. That way, we can observe everything else that was going on in the area at that time, and come away with a really good understanding of the site. person whose knees are constantly reminding them to move. A person who is comfortable may remain in one place for hours, loathe to shift to a new area or better position, because where they are is just so comfortable. This is how unwanted pits form and excavators miss evidence. Putting our comfort ahead of the site is just not cool. 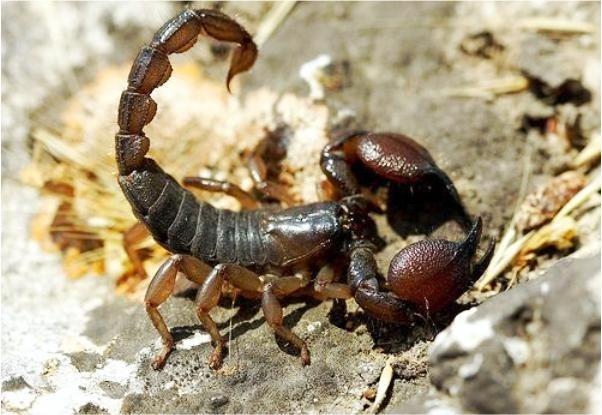 The other reason is scorpions. Never give them an easy target.